Day 3. What It Felt Like: In honor of this month of awareness, today we give the outside world some insight into what it is like to be a bereaved parent by sharing about a certain experience that you had during your grief journey. This can be a positive or negative (or both) experience. Some experiences that you could share about are what it felt like to hear the words "There is no heartbeat" or maybe you had an experience where someone did something very special in memory of your children. Pick a moment and share how it made you feel. The early morning hours of Tuesday, March 16, 2010, I arrived at the Birth Center in labor. At 2 days past my due date, everything was a "go," and I was thrilled to finally meet my beautiful girl outside the womb. 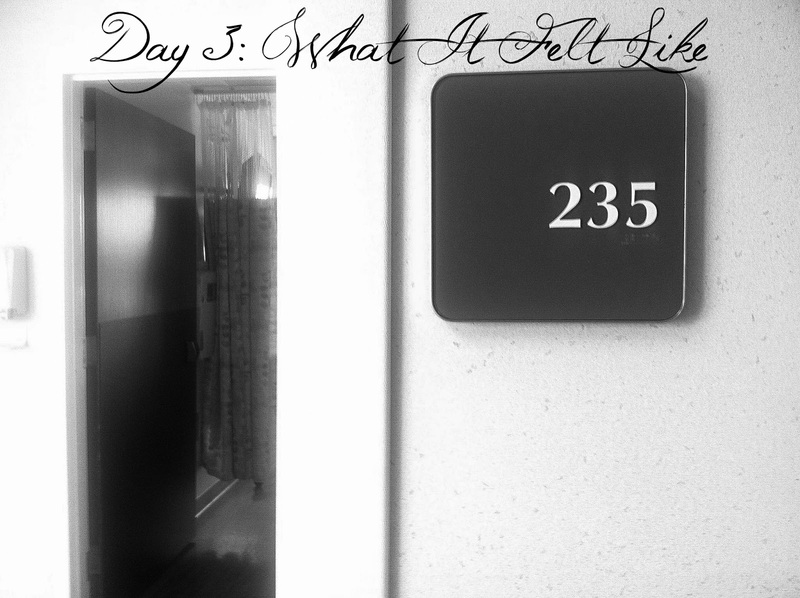 My nurse, Shannon, took me to Room 235, where I'd be giving birth, and was going through the normal check-in procedure. She checked my heart rate and blood pressure, and then, just as had been done so many times before…that little monitor was put up to my swollen belly to check Lily's heart rate. Perhaps the equipment is faulty, or perhaps Lily is in a weird position, we both thought to ourselves. I was full-term and babies don't die at full-term, right? So, I honestly wasn't too concerned. We just needed my Dr. in there to make everything better. I had been to his office so many times before and we had always heard Lily's heart beating so sure, so strong. But, there was nothing my doctor could do and there was nothing we could do...but cry out to the Lord. My entire life I had feared one day giving birth, and now here I was, 20-years-old and having painful contractions that reminded me I'd have to birth my baby under circumstances I never could have dreamed. I felt myself perishing under the weight of this, and in that moment I cried out to Jesus. He showed me that He had given me the strength to get to this point, and He'd give me the strength and grace now. He always gives us just what we need at the moment we need it. I felt His presence so close that day and know it is He who carried me through. I believe the gray, dreariness of that rainy day was a reflection of how His heart broke for us.